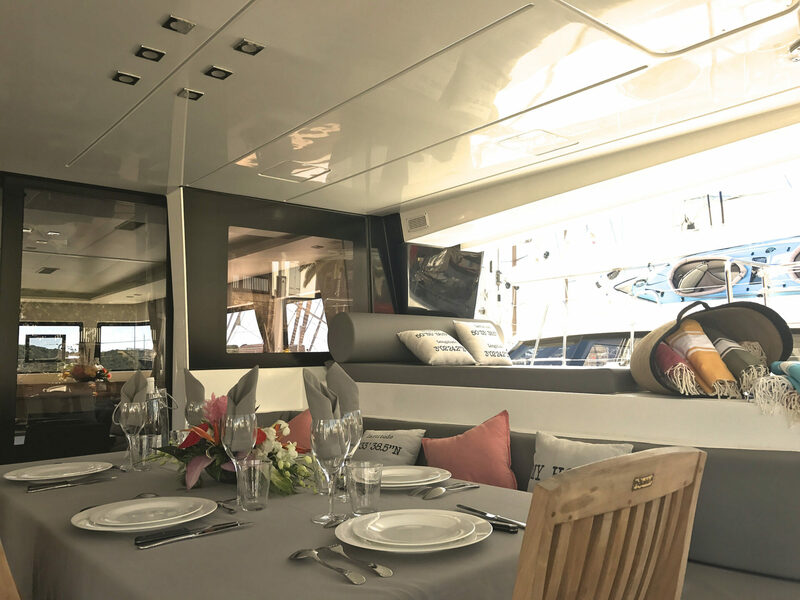 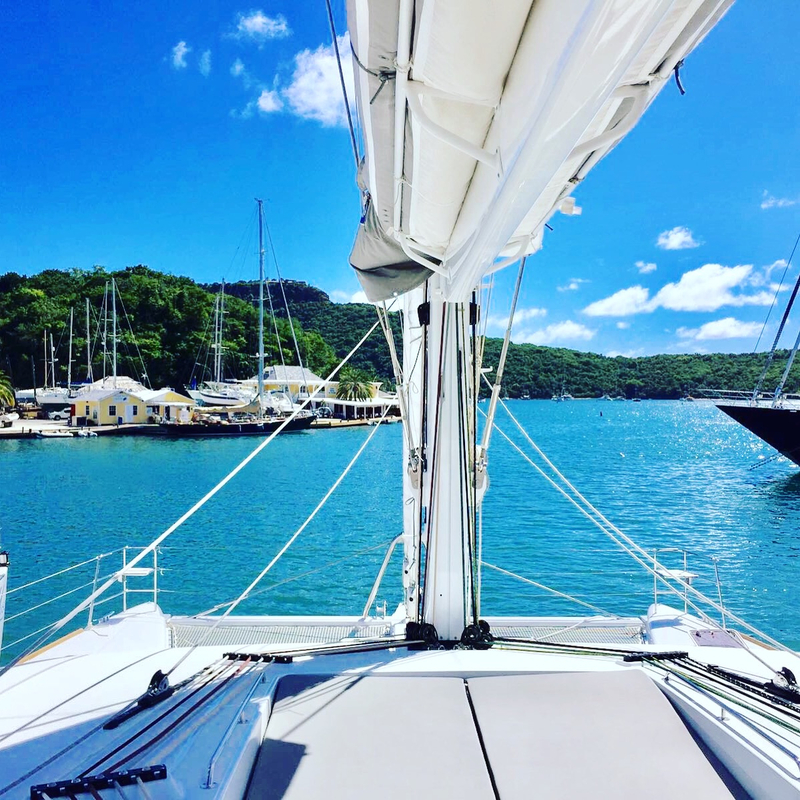 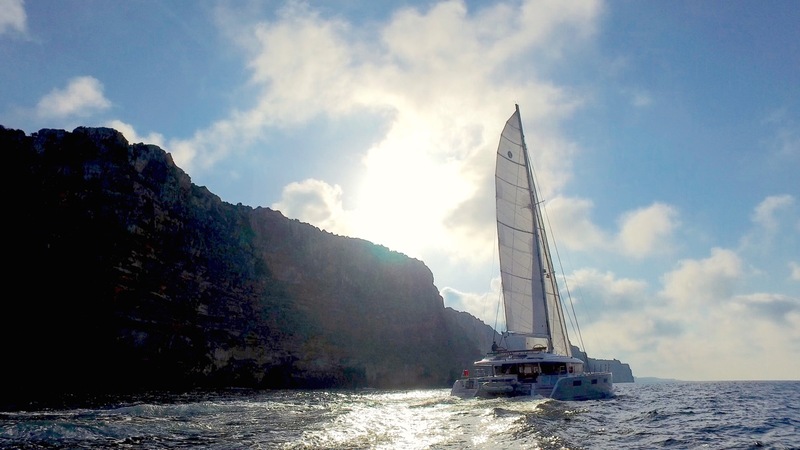 Available in the Eastern Caribbean year round, the luxurious 62′ Lagoon catamaran REVE2MER, built in 2016, has three places to dine: the main saloon, cockpit, and flybridge. 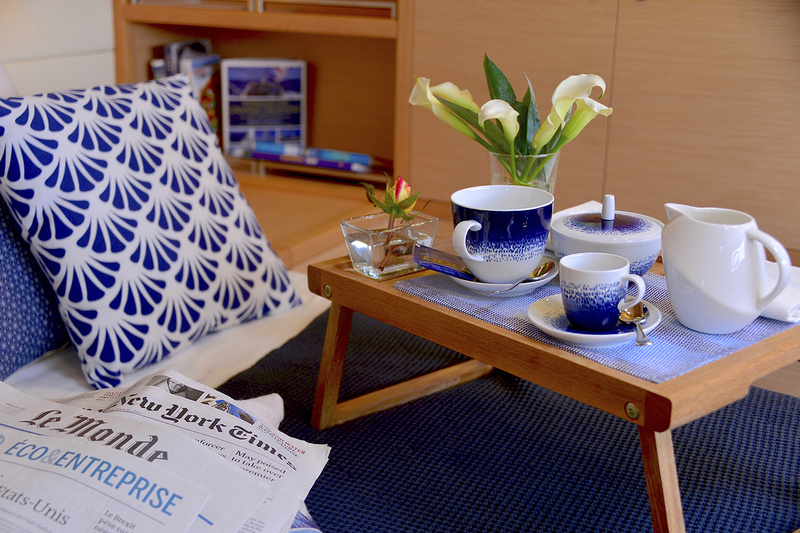 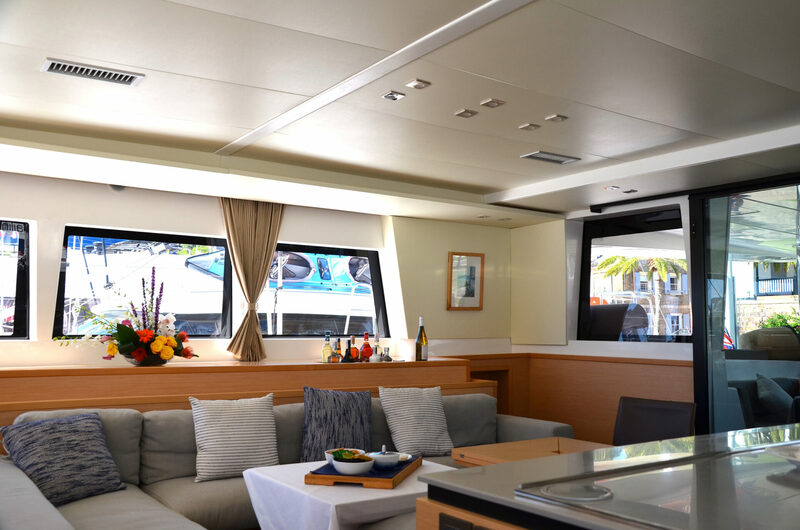 With deck bed, bar with sink, fridge and barbecue, the cockpit leads into the modern main saloon with 360 degree views, galley and lounge, or up a flight of stairs to the flybridge. 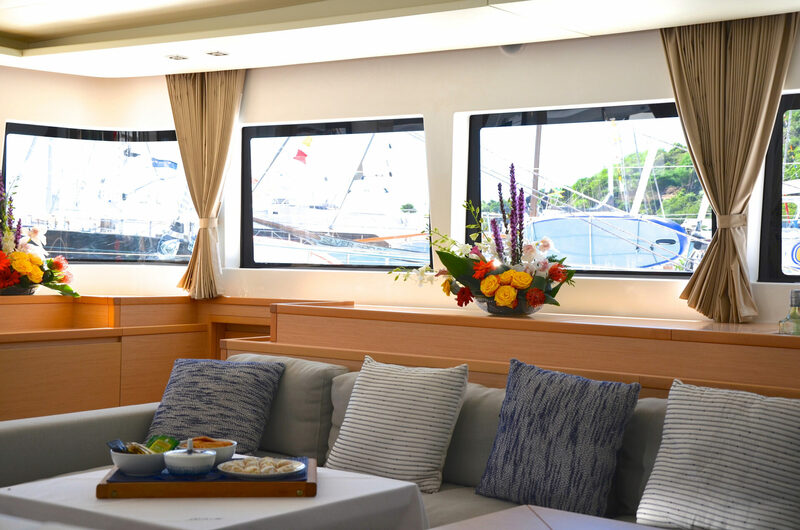 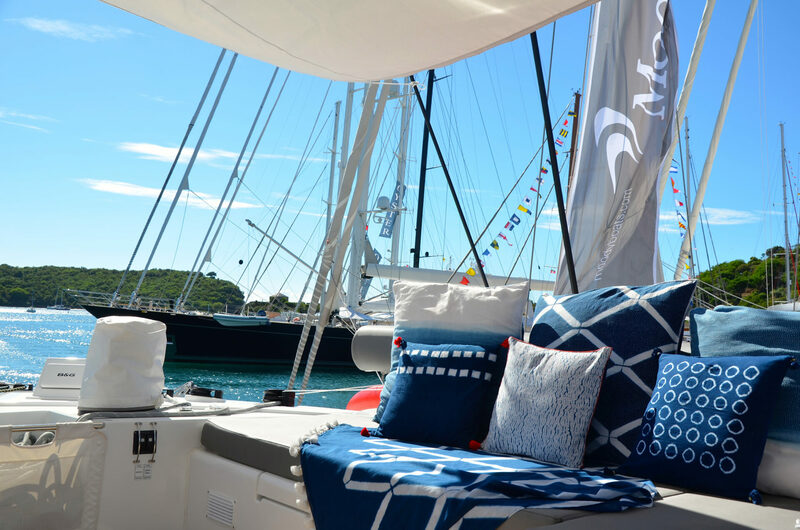 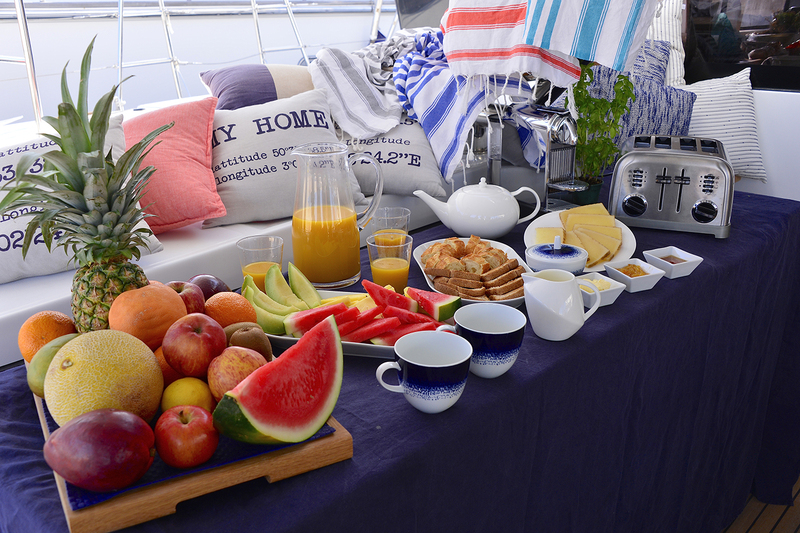 Guests gather on the flybridge to sunbathe, sail, dine, and have cocktails, as there are two double sun beds there, along with bench settees, a bimini awning, two dining tables, and teak decks. 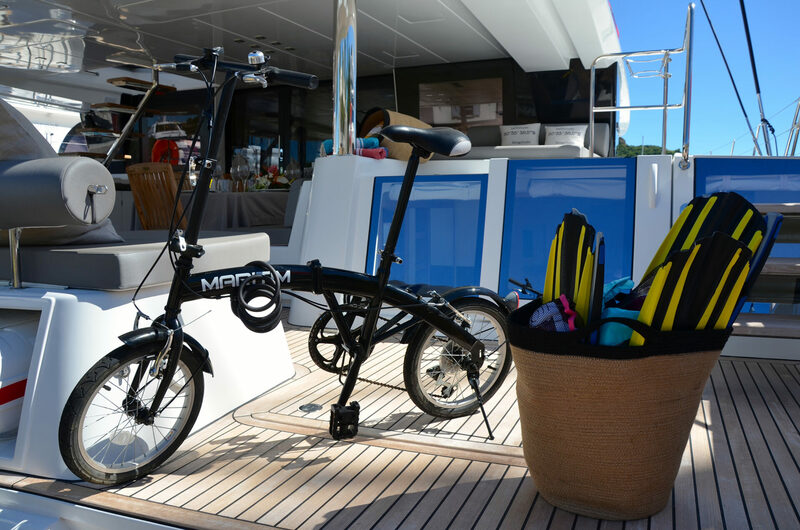 Among the usual pull toys and self-drive paddle toys in her lazarette, REVE2MER has two tenders and two bicycles. 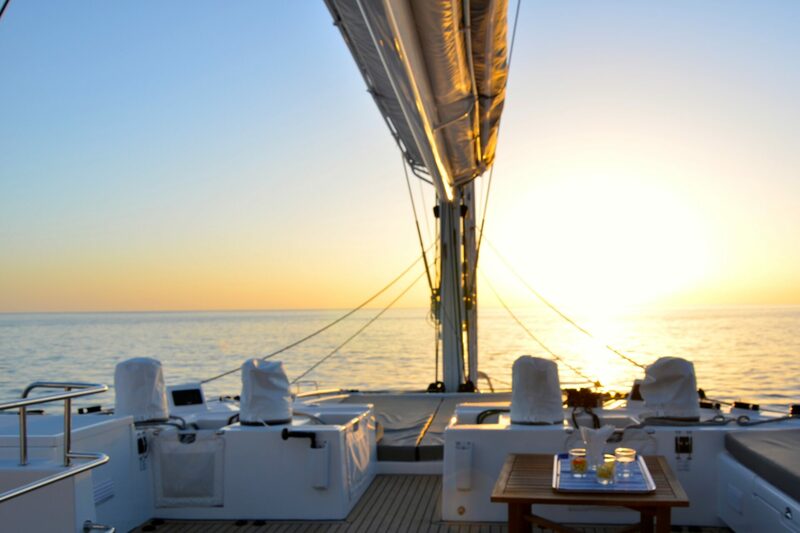 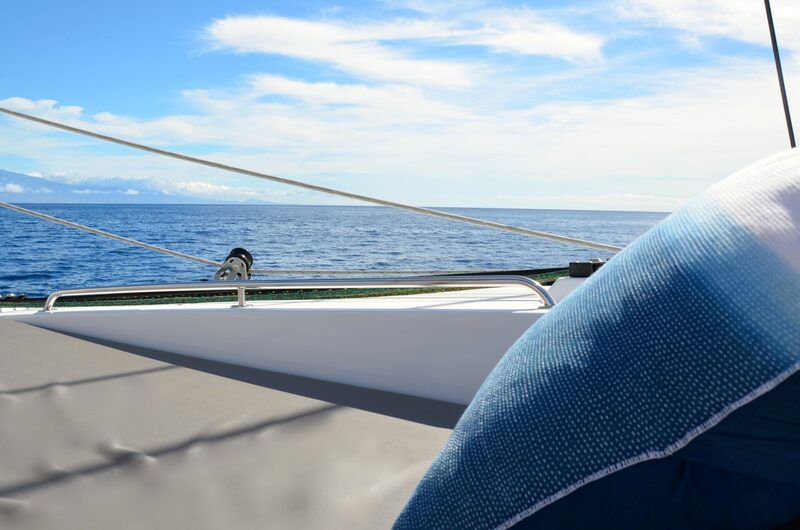 The crew of three from the Seychelles have worked together as a team for ten years. 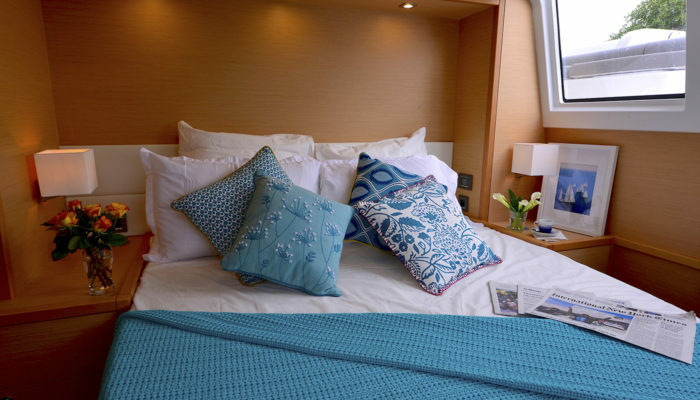 Ideal for four couples, two of the four Queen berths onboard have glass doors aft that let in lots of natural light and open into the cockpit, ideal for that pre-breakfast swim. 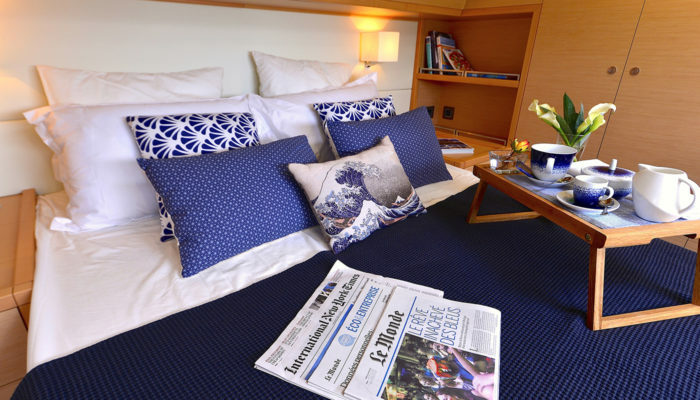 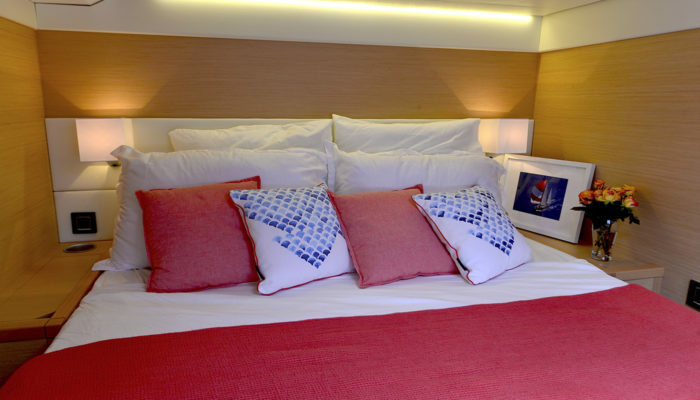 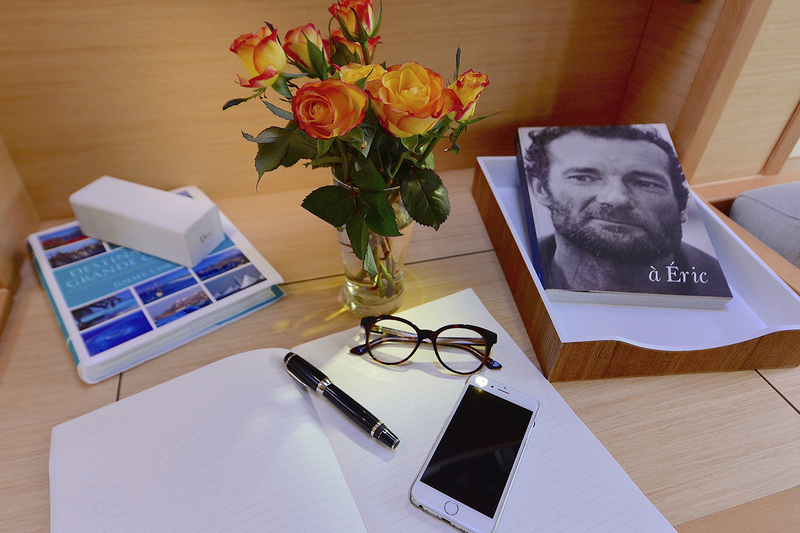 The other two cabins have beds that face windows looking out to sea, and all staterooms are air conditioned; all have Apple TV, and all have ensuite bathrooms. 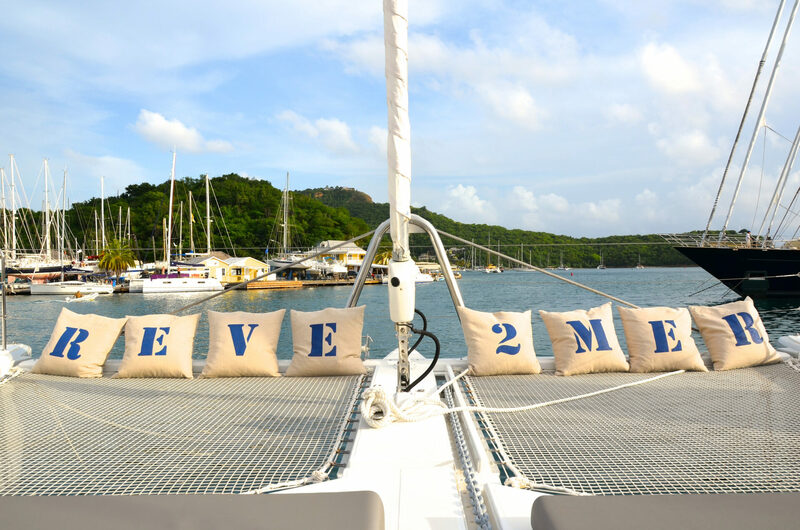 Owned by a French wine maker, REVE2MER carries various high end French wines aboard, including the owner’s own 2015 Cuvee REVE2MER Sauvignon…..